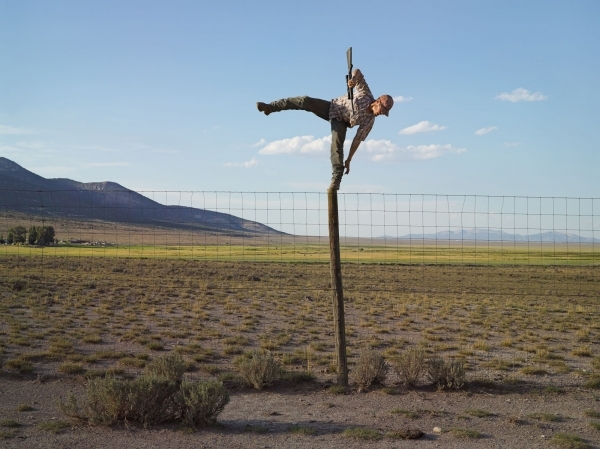 Fredericks & Freiser is pleased to announce an exhibition of photographs by Lucas Foglia. The exhibition will include twenty-one prints from his series Frontcountry and will coincide with the publication of his second monograph, published by Nazraeli Press. Between 2006 and 2013, Lucas Foglia traveled throughout rural Idaho, Montana, Nevada, New Mexico, Texas, and Wyoming, some of the least populated regions in the United States. Frontcountry is a photographic account of people living in the midst of a mining boom that is transforming the modern American West. The cowboy might still be the enduring symbol of this rugged landscape, but Foglia’s uneasy relationship with the romanticism of the past is evident in his vivid images of ranching and mining towns today. 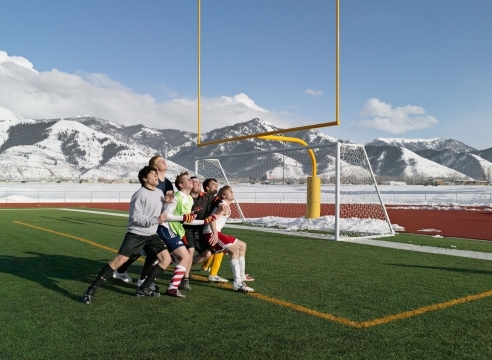 Capturing both the landscape and the people, Foglia’s photographs are dynamic, heroic, and brutally honest. Lucas Foglia was raised on a small family farm in New York and graduated in 2010 with an MFA from the Yale School of Art. He has had solo shows at Galerie du Jour Agnès B, Paris; Michael Hoppen Contemporary, London; and the Museum of Contemporary Art, Denver. He has been included in group exhibitions at the Philadelphia Museum of Art; Gemeentemuseum, The Hague; Contemporary Art Center, New Orleans; and the International Center of Photography, New York as part of the ICP Triennial. Foglia’s work is in the collections of the Denver Art Museum; Museum of Fine Arts, Houston; Museum of Modern Art Library, NY; Brown University; Philadelphia Museum of Art; and Victoria & Albert Museum, London. Fredericks & Freiser will be his first solo exhibition in New York. Fredericks & Freiser is located at 536 West 24th Street, New York, NY 10011. We are open Tuesday through Saturday, 10am to 6pm. For more information, please contact us by phone (212) 633 6555 or email: info@fredericksfreisergallery.com, and visit us online at www.fredericksfreisergallery.com.